The interest of international community to IoT devices inspired us to cover more innovations made in Ukraine. We collected the most impressive software and hardware samples that make our lives easier. Enjoy discovering Ukrainian tech world! Ukrainian entrepreneur Oleksiy Vynohradov and cardiologist Dmytro Fedkov have been working on mobile cardiography technology for more than 5 years. Recently they have presented a smart T-shirt HeartIn that does electrocardiogram in real time. Together with a mobile app it helps to make sport exercises more effective and monitor cardiac abnormalities. Their ultimate goal is to provide early heart disease detection. But people aren’t eager to buy a T-shirt for diagnostics only. That’s how an idea came to their minds – inventors presented a beautiful and convenient app that measures pulse and heart variability rates accurately, sends reports on workout results and, additionally, performs diagnosis. Vynohradov says that consumer trackers for checking heart rate show rather imprecise data with accuracy rate varying from 40 to 60%. That’s why these devices suggest you wrong exercises for a workout. On the other hand, HeartIn accuracy is 99%. Now the T-shirt is undergoing certification process, and the company expects to get all the documents by the end of the year. On the current stage you cannot fully rely on their arrhythmia diagnosis service, only use it as recommendations; but after certification the result you get will be considered as an official diagnosis. The entrepreneur predicts that insurance will even cover the sum of money spent on the T-shirt. 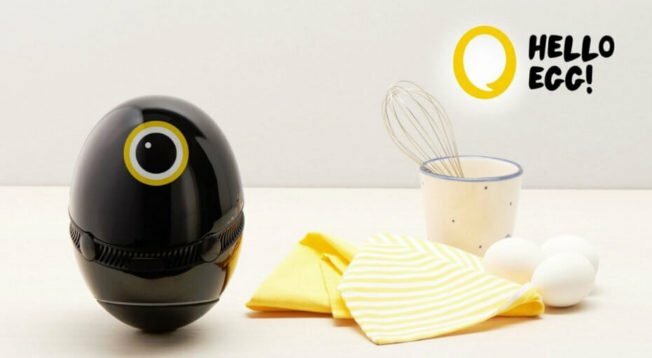 Ukrainian developers from RND64 company created an interesting gadget for smart kitchen, HelloEgg. It’s a kitchen voice assistant providing “first cook aid” in real time. The egg-shaped device has a display on the top for watching step-by-step video recipes. It even can talk to you and hold a conversation due to build-in AI technology. HelloEgg can entertain you with songs from Spotify or other music services, news, weather forecast and so on. Of course, timers are a must-have for such device – they will prevent you from burning dishes. “We conducted a research and it appeared that a person spends on cooking about 400 hours, or 3 years. We understood that modern kitchen assistant shouldn’t limit itself only to voice commands and music streaming, it should have option of streaming video, live customer support and many others”, explains Dmytro Shemet, CEO of RND64 company. 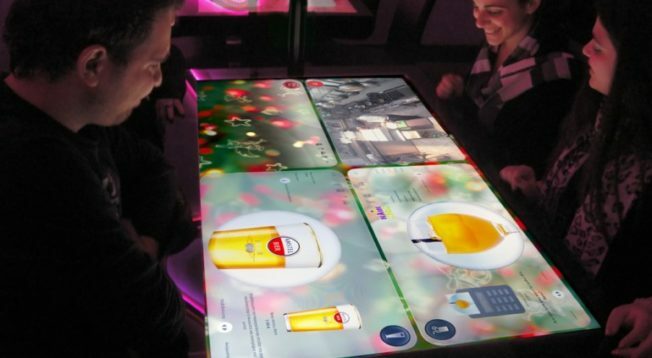 Kodisoft founder Dmytro Kostyk has launched a project called Interactive Restaurant Technology, big and bright interactive tables for restaurants. You can make orders, do online shopping, watch how they cook your meal and communicate with restaurant visitors. According to Mr. Kostyk Kodisoft is the only company in the world producing interactive tables for restaurant industry. Nowadays this technology works in 7 restaurants all over the world. Several months ago they opened an office in Toronto. And Canadian Prime Minister Justin Trudeau was among the first to try the table. Moreover, it is company’s invention that makes the very existence of such table possible. Unique technology lies in the fact that sensitivity of sensors stays high despite thick (up to 20mm) protective glass. In this way it saves interactive tables from humidity, temperature fluctuations and load impact. 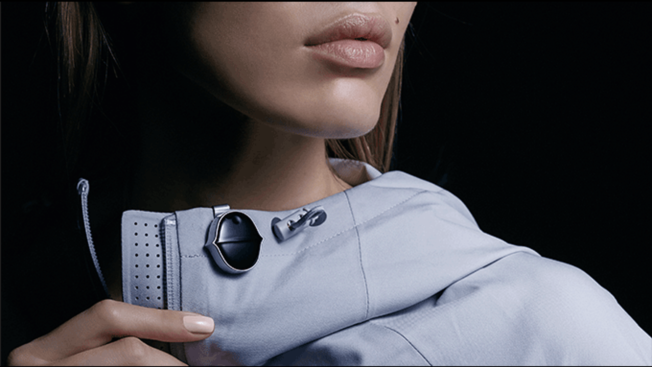 Ukrainian startup Senstone produces fashionable pendant that records your speech and turns it into organized notes. The pendant’s diameter is 29,53mm, and it weighs only 26g. To take notes on the go all you need is to click on the device and start speaking. What is more, Senstone categorises notes into topics (diary, blog, to-do lists, commentaries about conference etc.) The device is able to recognize 7 languages and holds charge up to 3 days. The company launched their Kickstarter campaign to raise $50 000, but the idea appeared to be so innovative and popular they got the needed sum in 36 hours. Ukrainian company Techware together with Concepter (the one that is known for iBlazr smartphone flash) made Grovio, a smart device for watering plants. It consists of a 30cm cylindrical water tank with a small tube. The end of the tube has a special sensor you put into soil. Pour water into a reservoir, and sensor decides how much water a particular plant needs to supply water via tube. Sensor also monitors soil and air humidity, temperature and light conditions. Oleksandr Ivanov, a founder of Techware says, “People are busy with lots of stuff everyday but it shouldn’t influence vulnerable and fragile plants”. You can connect Grovio to 3 different plants. The device will automatically monitor conditions and water them during 45 days (of course it depends on the sort of plants) according to their specific needs. 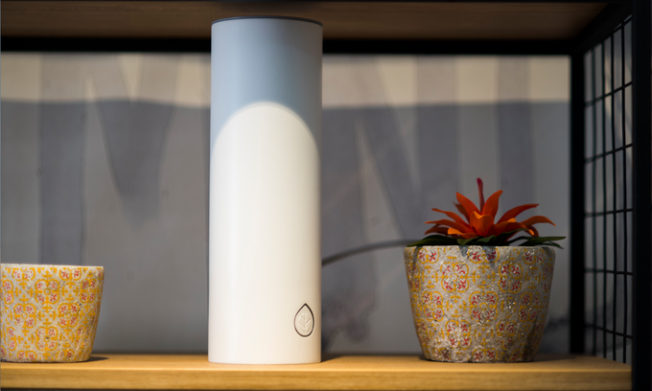 If Grovio runs out of water or plant health goes bad it sends you a message via mobile app which works with popular voice assistants Amazon Alexa, Apple Siri or Google Home. Softcube is an analytical e-commerce service processing buyers’ data to satisfy their needs. Developers state that the service helps clients to make their choice, and e-tailets get a chance to increase sales by 7-12%. Softcube uses such data as information about goods and buying activity to provide e-customers with recommendations in “People also buy these” or “You might also like” blocks. Among their clients you can find Yves Rocher, leBoutique, Studio Moderna (TopShop, Dermeo) and others. 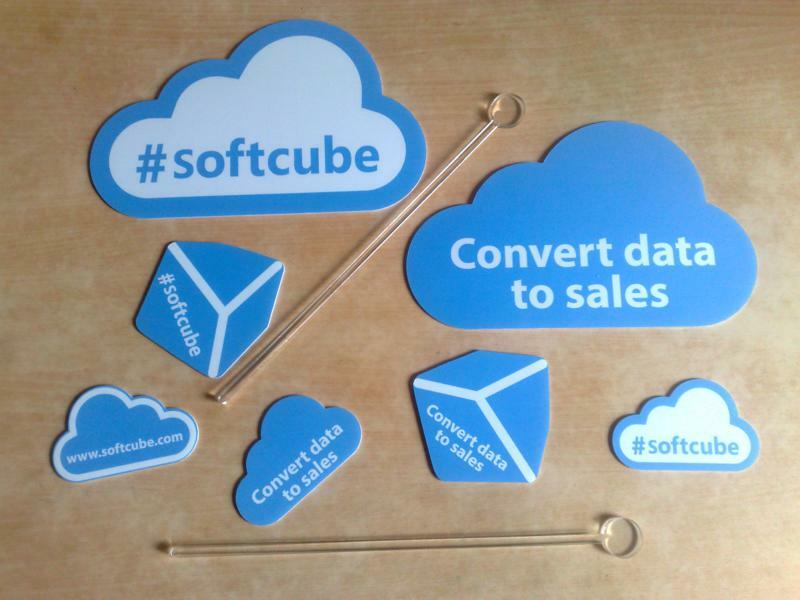 Softcube works with online shops in 11 countries processing more than 500 GB information a day. 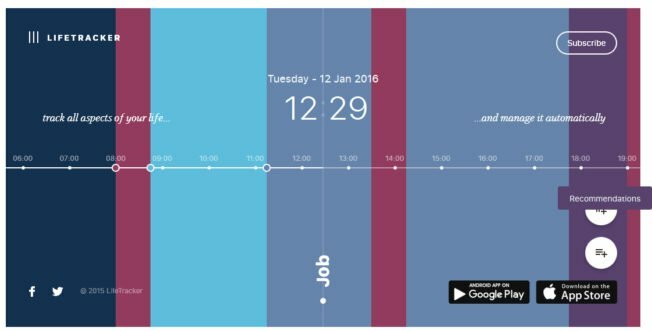 AI-based mobile application LifeTracker looks like an ordinary task manager, but the difference is that it collects information about its user activity, location, analyses the data and reminds about different tasks in the most appropriate time. This app is available both for iOS and Android, however the developers plan to adapt it to different interfaces, and even to integrate LifeTracker into Internet of Things. The app uses smartphone sensors and its calculating features to analyze circumstances due to machine learning algorithms. It helps to manage daily routine and reminds about small tasks (paying bills, buying food, making calls) and long-term goals or habits (studying language, planning vacation, going to the gym). The project involves 10 people. It took them about 6 months to develop this application. The app is absolutely free on this stage but later they plan to make it freemium – some additional features will be paid. How does the app know what you should do right now? The answer is – LifeTracker records your previous activity, where and when you do something. It tracks also the other tasks and circumstances to remind you about the most relevant ones at the right time. Finally, it checks your calendar to find out if you have any notes in to-do list for today. If so, reminders will be postponed. Education is one of the most changed industries in the era of informational technologies. 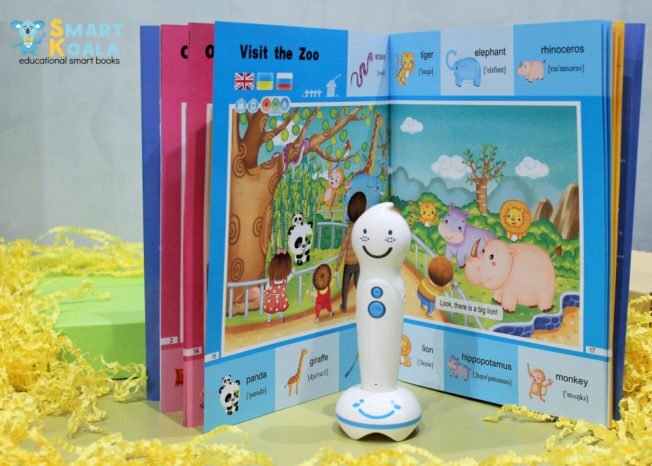 Ukrainian team created an interactive book Smart Koala. This brightly illustrated children book for studying English goes with a smart pen pronouncing the depicted words. Team headed by a linguist Teresa Herushynska spent about a year and about $40 000 of investments to create their smart book. The book for 3+ year old kids shows different life situations. Every page contains special markers under pictures that trigger a record in English, Ukrainian or Russian. Smart book makes studying process more interactive and develops listening skills. 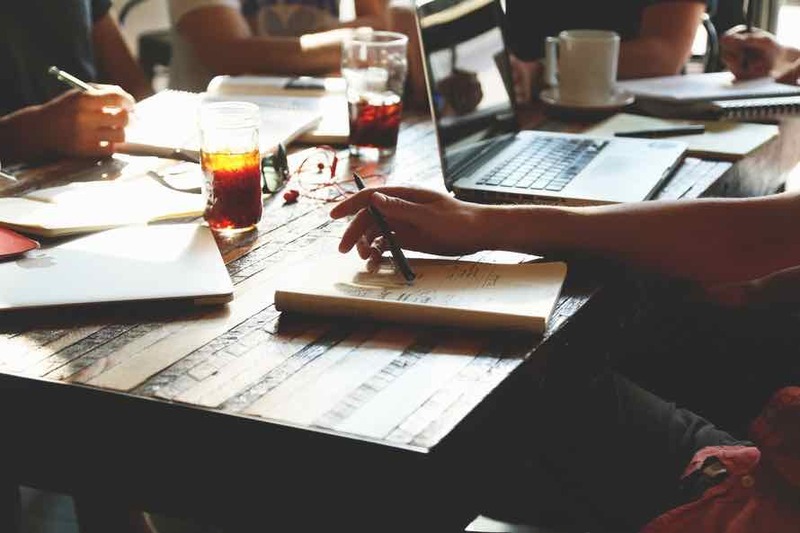 Smart pen is a kind of platform that can be used both for revision of the previous materials and reading the next books in this series by uploading additional content. In the nearest future parents will get the opportunity to buy new books and download files for the smart pen for free. The pen also has an inbuilt voice recorder for parents to record fairy-tales for their kids. What Is ODC — Offshore Development Center? and we will be contacting you shortly to follow up. File has not supported format.